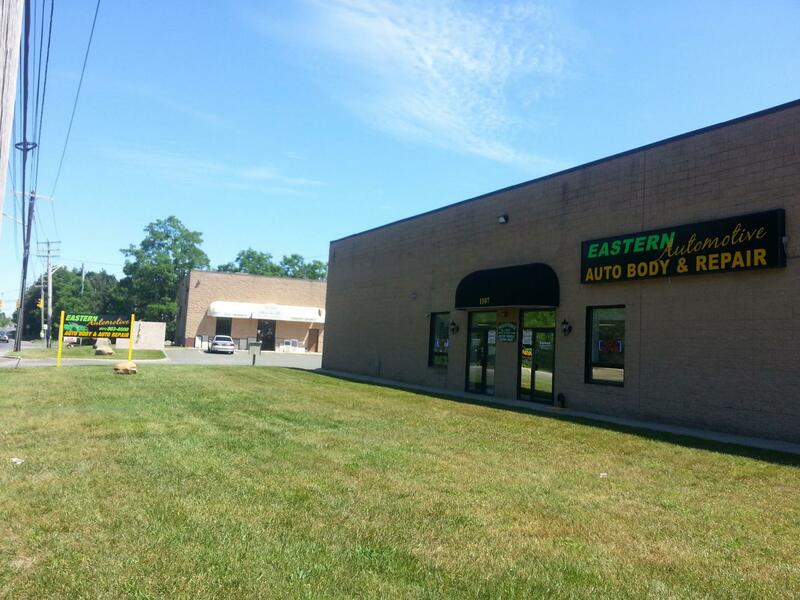 Eastern Automotive Inc, was formed in January of 2012, bringing over 30 years of professional experience. We are a full-service automotive body and repair facility, located in a spacious free-standing building. We are easily accessible off Sunrise Highway, Montauk Highway, LIE, Route 83, Woodside Avenue, and Sills Road. We provide no-hassle insurance claims, under collision or liability coverage. We are experienced as an insurance pro-shop and provide customer satisfaction in aligning the interests of the insurance company with those of its insureds or claimants. Our team is experienced and professional. We are NYS licensed DMV appraisers and inspectors. Our mission is to provide the highest quality work and exceptional customer service. In an effort to maintain our highest standards we take great pride in using "green" products in our body shop. Our world class paint system allows us to deliver the most exceptional finish with a low environmental footprint. We understand that in today's times finding an honest, reliable and top-caliber auto body and repair shop facility may be a challenge to customers. We at Eastern Automotive pride ourselves in our integrity and in providing quality work and outstanding customer service. We are an integral part of the community. We look forward to servicing your automotive needs to your utmost satisfaction. Thank you.